← Which books do you go back to? Author Alayne Kay Christian is holding a writing contest in honor of National Grandparent’s Day on 8th September. I’m betting there are going to be some really great stories to be read! I’m thinking I may have to enter this one. Donna L Sadd tells us a wonderful story about her husband, Bobby and his grandparents. One of the greatest gifts a kid can have is grandparents. 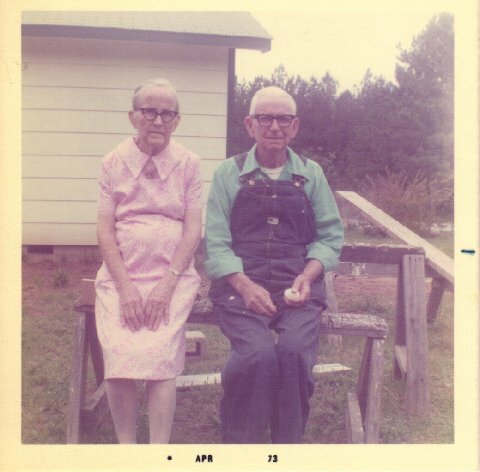 My own grandparents, Jim and Lucy Wright were quite likely the strongest influences in my life. It’s a rare day I don’t think about them. This entry was posted in Books and tagged author, Grandparent, reblog, writing. Bookmark the permalink. I think you should enter that one. I only wish you had the chance to know my mother better. Go for it. I wish I’d known her better, too. Ten years isn’t enough to have a Nanny!